The average British family home is now so full of items like plasma TVs, games consoles and digital radios that it's costing us an average of £400 a year just to power the things. And that's without adding in other power-hungry items like lightbulbs, dishwashers and central heating. Or measuring their likely CO2 impact. What's more the Energy Savings Trust (EST) says that by 2020, gadgets will consume about half of your family's total electricity quota. The EST's ' Ampere Strikes Back report also says that there will be so many flat screen TVs left on standby that they'll account for 1.4 per cent of all domestic electricity usage. This startling £400 gadget electricity bill is down to the invention of new home entertainment technologies. It is also to do with the fact that modern replacements for old technologies use far more power than their predecessors. Old analogue radios consume around 2W of power when in use, says the EST, but DAB radio use over four times as much at 9W. 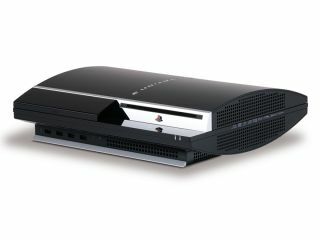 The Sony PlayStation 3 doesn't get off lightly either, consuming around 187W of power during gameplay, that's a staggering eight times more than the PlayStation 2 slim. The £400 figure is the total cost of a suite of typical gadgets and appliances found in the average home - from TVs and VCRs in communal areas, to personal items belonging to children. The figures are based on a family of four with communal gadgets costing around £200 and two children/teenagers using gadgets in their rooms costing about £100 each.